I bought Aeroshell Sport Plus 4 oil for my 2006 CTSW. I fly exclusively 100LL because I don't have a choice. Eventually I may create my own gas truck for Mogas. The recommendation is oil change every 25 hours. If I add Decalin, does that change the recommendation? Anyone with any problems using Decalin. Also, should I change my spark plugs with every oil change? Thank you. Oil change does not change. Every 25 hrs. with 100LL. Decalin helps, but it is not a cure all. No issues with Decalin either. Many of us just toss the plugs at 75 hrs. They are only a couple of dollars. Gap them between .023 - .027. I tend to use .025 only because it's in the middle. If you gap them at .027 then they will just get wider and more out of the best spec range. Do with this what you may. I know a guy who has ran his CTLS exclusively on 100LL, changes the oil every 50 hours, and doesn’t use decalin. Went hundreds of hours past TBO with no probs. He runs the CTLS in a flight school environment. Just another bit of info. I’m not an expert so I have no opinion on this whatsoever. Thanks for the info, I'll pass that onto my A&P. Eventually I'll make it Exp and do the weekend course... just not there yet! Nice. I hope I got that batch of Rotax engines! Remember with over 5 million run hours and more than 50K engines out there there is a reason Rotax says 25 hrs. Lead gets into and adheres to many things. They didn't just pull these numbers out of a hat. Failing things like a 600 hr. gearbox inspection because of 100LL use vs the 1000 hr. gearbox inspection with auto fuel will cause the overload clutch to not function in the gearbox because it's gummed up at about 800 hrs. There is no way a pilot would know this unless they tore the gearbox down or he has a prop strike and it fails to function and he twist his crankshaft which means a new engine. Bottom line is, Do you want a healthy engine or one you can't trust or will have a very expensive repair bill on? Your choice. Totally agree with you. I have a budget set aside for all this maintenance. I was being a little cheeky with my comment, but it'll get done at 25 or there about. Anything I'm missing? How often do you change the tires? Also, do you work on these engines out in Tucson? You're not far from me. Oil tank is every 200 hrs. on the list. If you use auto fuel I doubt you will ever find anything. The 200 hr. is setup because people in some places use 100LL all the time around the world so Rotax just drew a line in the sand and put cleaning the tank (for lead) at 200 hrs. If you're using 100LL or have a 1500 hr. TBO engine then the gearbox is 600 hour inspection. If you have a 2000 hr. 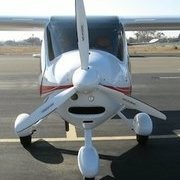 engine and use mostly auto fuel it is 1000 hrs. If you have a 200 hr. engine and use mostly 100LL then it gets bumped back to 600 hrs. Most of us that use auto fuel take it out in 5 gal. cans. If you can get away from 100LL you will be far ahead of the game. Tires are different for everyone. Only when needed. Do not let them get bald. Always balance new tires. No tire is is balance out of the box. Use heavy duty butyl tubes with 90 degree stems on all your tires. Brakes are the same. If you have Marc brakes the pads have no rivets so they can get as thin as 1mm. The thickness of a dime. If you have Matco brake pads then there is a cut out witness mark on each end of the pads. When that disappears change the pads because those do have rivets. Check the stab to see if it has any fore & aft free play. Not up and down. If it has fore & aft remove the stab and torque the two end nuts on each side of the pivot pin to 200 in/lbs. If it doesn't have that free play don't worry about it. Once torqued after a bunch of hours on the plane I haven't seen any loosen up again. The nuts don't loosen per say, but there is wear in that area that allows the stab to move fore & aft and tightening the nuts up removes that wear looseness. Just a note: I have wondered if these loose nuts add to a flutter issue? Maybe not. TBO can at this time be "on condition". It is in the FAA legal department at this time for a ruling, but who knows when or what they will say. If you have any questions you're welcome to call me. Remember with over 5 million run hours and more than 50K engines out there there is a reason Rotax says 25 hrs. I thought Rotax actually says maximum 100hr / 50hr (with 100LL) changes, but the "conventional wisdom" is to cut that in half. When they're worn out or show signs of heat cycle damage (dry rot). Thanks Roger. Everyone on here has been great. I'm going to buy a couple of Jerry Cans and just fill them up. There's no problem mixing 100LL with 91 unleaded correct (I read on here that it can contain up to 10% Ethanol and Rotax engines are ok with that)? Do I need to ground my plane when filling it up? I have to hangar at the FBO, I can probably fill it up out of sight somewhere else at the airport. Hm... I had read 25 somewhere too, I'll have to find it. I think I'll do it at 25-30 while running 100LL just to be safe. Nobody with an ounce of sense would go to 100 hrs. on 100LL. That's saved for 91 oct. Remember the books are written for 3 engines and different uses and fluids types. We teach in classes 25 hrs. for 100LL or flight school use. 50 hrs. for normal use with 91 oct. The book does say up to 100 hrs., but I don't know that I have met anyone that does that. The oil is the blood of your engine. If you disease the blood the body will fail short of its life. I met an idiot once that said he had never changed his oil in his tractor for 20 years. After a few of his other foolish comments I refused to work on his Allegro aircraft and no one else within 100 miles would touch it either. The 25 hr. comment is in a SB. Why mix any 100LL at all. You're far better off with just 91 oct. auto fuel. Plus your engine can handle and amount of ethanol from a US fuel pump. So don't even worry about ethanol fuel. Many myths that go around and few ever really do their research. An airport can not legally deny you to self fuel. They can keep you from fueling in the hangar because that's a fire code issue (most of us do it any way). So long as you are touching the plane and gas can you'll be fine. Just wondering if I use more than my 10 gallons or have to refuel elsewhere, when I get back I have to mix. Thank you again. Whenever you are away from home base and need to use 100LL, just use Decalin. When fueling at home use ethanol gas. Unless you are using more than 30% 100LL, there is nothing else you have to do, and you can change the oil at 50hr intervals. Nobody with an ounce of sense would go to 100 hrs. on 100LL. That's saved for 91 oct.
That's what I meant, 50hr for 100LL and 100hr for mogas. I thought that was the actual factory guidance, but cutting that in half is the "conventional wisdom" (and what I do). It’s probably overkill, but engine wear is most likely negligible.